Yesterday, an assorted group of Israeli birders (and myself) went out on a deep-sea pelagic in the Mediterranean. Our main target was to try and find European Storm Petrels, that breed so close in Turkey, and whatever the Gods of Sea would bring us. We left Herzliya, and travelled west for 31 miles, towards a pretty deep underwater canyon. We then chummed massively for three hours - we used about 40 kg of chum and 20 liters of fish oil. But nothing at all came to our top-class chum slick. On the way out we had some gulls and terns close inshore, and one Arctic Skua, but that was it. 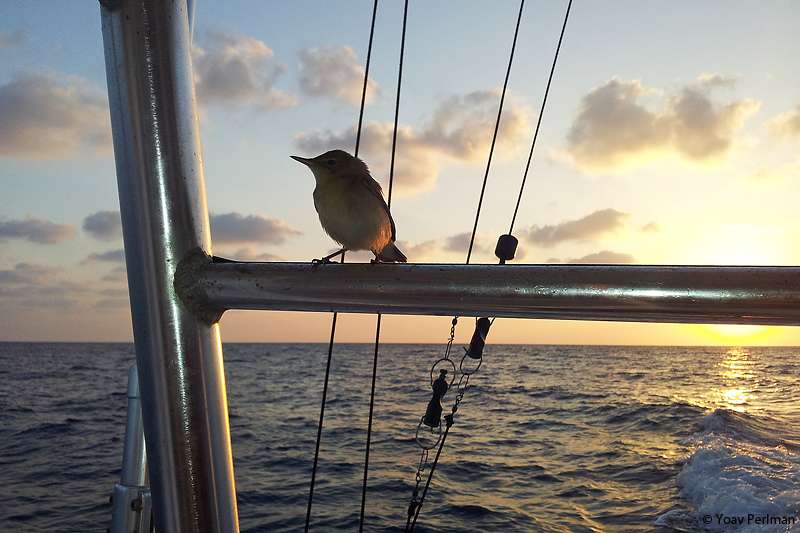 The only moments of amusement were when halfway back, about 15 miles from the coast, a poor Marsh Warbler landed on our boat. It was really exhausted and rested for some minutes. 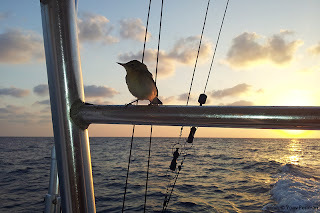 Then we were overtaken by a larger, faster navy boat and the warbler identified the opportunity for a faster, safer hitch and deserted us for the other boat. 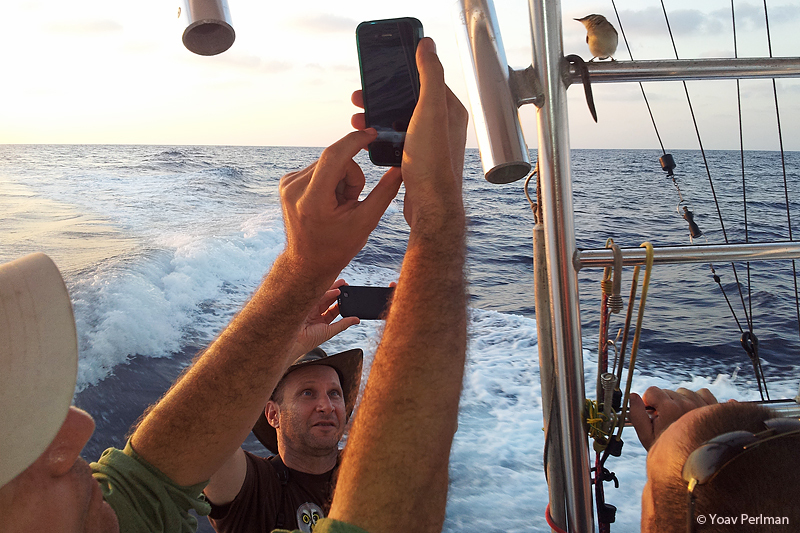 Despite seeing no birds, we are aware of the difficult conditions in the Med. Next time we probably have to go out deeper, stay for longer, and wait for days with stronger winds; yesterday the winds were very soft. 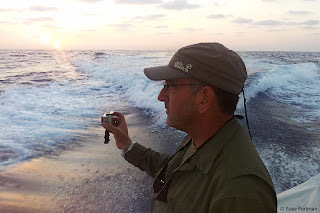 But it's always great to be out at sea, and it was good fun with all the guys. Thanks to all the organizers and participants - Shachar, Rami, Oz, Amir, Barak and Hadoram. Don't feel too deflated by your results on this. It sounds like a nice pioneering trip and lots of fun. I think you'll need to run a few of these before you start finding the 'sweet spots' but I'm sure they'll be out there. European Storm-petrel is a decent target for starters.